Force Recorder force data analysis software interfaces with Imada ZT Series (USB) force gauges. Program, save or import saved gauge programming from the software. 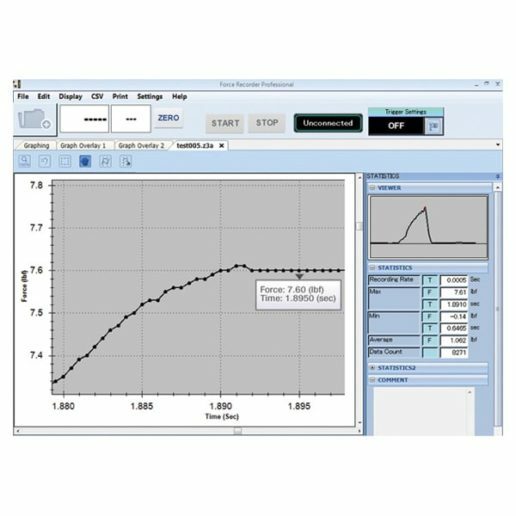 Force Recorder captures and processes 2,000 data per second (not just the peak) and generates force vs. time profile graphs with statistics. 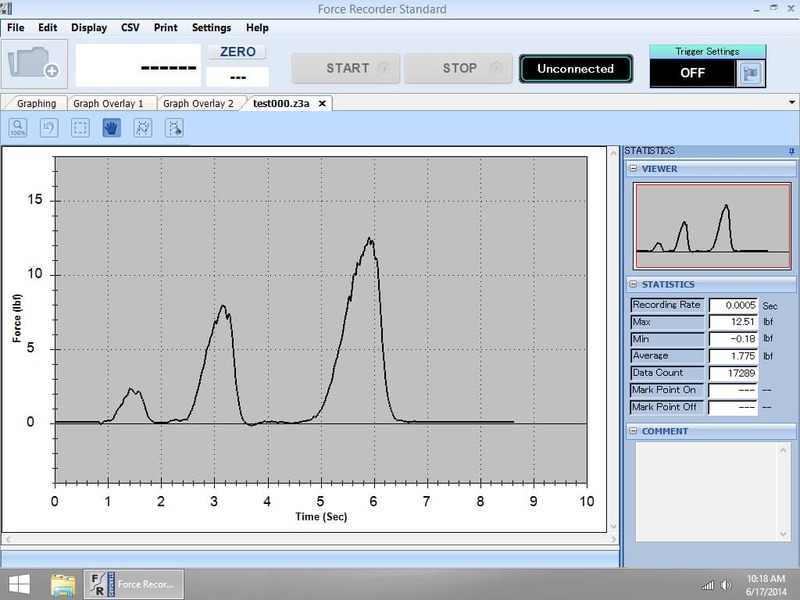 In addition to force vs. time, Force Recorder Pro captures force vs. displacement data using a ZTA gauge. Zoom into any part of the graph to see individual data points at intervals of 0.5 mS. 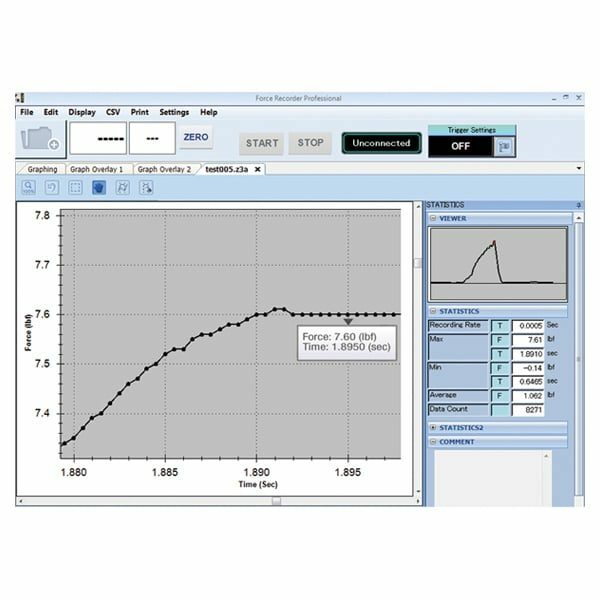 Mouse over data points to display their force value. 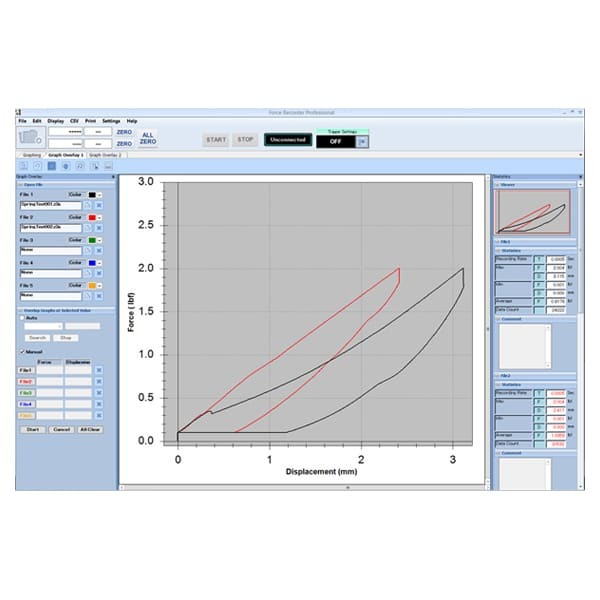 Further analysis can be done on the entire range or by selecting part of the graph to detect the first peak or generate statistics within that time interval. Compare and align multiple graphs. Save graphs or export data to CSV format. 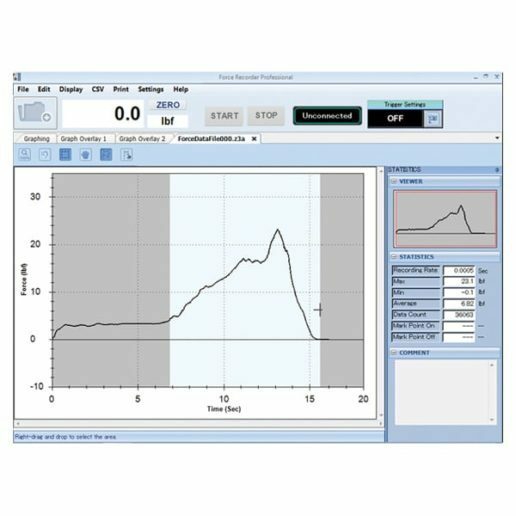 Force Recorder offers a new toolbox to analyze force data.